NEW ALBANY, INDIANA On October 1, 2015, the Floyd Memorial Hospital and Health Services’ Board of Trustees voted unanimously to remove the word “interim” from Dr. Daniel J. Eichenberger’s title, making him the CEO of Floyd Memorial Hospital and Health Services. Eichenberger, a long-time, local primary care provider in the community, was named interim CEO in March of this year, replacing Dan Fairley, who had also acted in an interim CEO position at Floyd Memorial from mid-December 2014 to mid-March after previous CEO, Mark Shugarman, resigned to take another position. Eichenberger is board certified in both internal medicine and pediatrics, and he continues to practice part-time at Floyd Memorial Medical Group-Physician Associates of Floyds Knobs. In addition to his medical degree, Eichenberger earned his master’s degree in business administration in healthcare management in 2013. LEXINGTON A physician with more than 30 years’ experience in health policy and health benefits has been named chief medical officer for Baptist Health Plan and Baptist Health Community Care. Thomas James III, MD, assumed the CMO position on Aug. 31. He reports to Isaac J. Myers II, MD, chief health integration officer for Baptist Health and president of the Baptist Health Medical Group. In the position, James provides leadership for all clinical and pharmacy activities for Baptist Health Plan and Baptist Health Community Care. Baptist Health Community Care, housed at the Baptist Health Plan offices on Perimeter Drive in Lexington, has launched a pair of Care Advising programs to work one-on-one with plan members who have multiple or chronic health conditions, and with their providers as well. James has firsthand insights into population health and clinical medicine, as he practiced internal medicine and pediatrics part-time during much of his career. While at his most recent post – corporate medical director for clinical policy with Philadelphia’s AmeriHealth Caritas – he also worked in an after-hours clinic. The Louisville native launched his medical career from the University of Kentucky College of Medicine after earning a bachelor’s degree from Duke University. He served internal medicine residencies at Temple University Hospital and Pennsylvania Hospital, plus a pediatric residency at Children’s Hospital of Philadelphia. 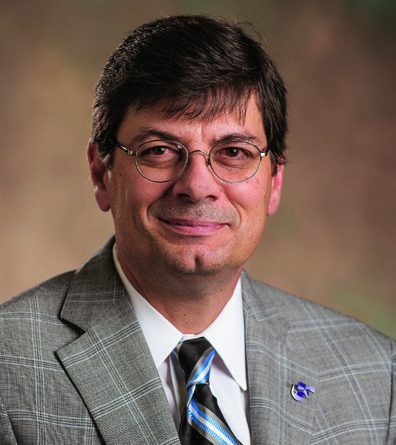 Seventeen years of his career have been spent in Louisville, first as medical director for HealthCare of Louisville (later known as HealthAmerica Kentucky), then several positions with Humana, leading up to the post of medical director, national network. Between those Kentucky positions, James spent a decade in Virginia, serving stints as medical director for Maxicare-Virginia/HealthAmerica, Sentara Health Plan, and Travelers’ Health Network. LOUISVILLE Craig H. Blakely, PhD, MPH, dean of the University of Louisville School of Public Health and Information Sciences, has been appointed to the Defense Health Board, which advises the Secretary of Defense on matters relating to health for retired and active members of the military and their families. Most of the board’s 18 members are retired high-ranking military personnel and physicians. Blakely, whose four-year appointment began in August when he attended his first quarterly meeting of the board, is the only member whose primary expertise is public health. The Defense Health Board (DHB) makes recommendations and provides independent advice on operational programs, health policy development, health research programs, requirements for the treatment and prevention of disease and injury, promotion of health, and the delivery of health care to Department of Defense beneficiaries. Blakely expects his knowledge of public health will allow him to make a contribution to the “big picture issues” addressed by the board, but he foresees the city and the university also benefitting from insights he will have into the concerns facing the military relating to emergency preparedness and global health issues. Blakely joined U of L as dean of the School of Public Health and Information Sciences in 2013. He has overseen the U of L Office of Public Health Practice’s move into West Louisville and is the driving force behind a program to offer a U of L Master of Public Health degree in Lahore, Pakistan. Prior to his arrival in Louisville, Blakely served for 26 years at the School of Rural Public Health at Texas A&M Health Sciences Center, most recently as dean. He earned a doctorate at Michigan State University in 1981 and a Master of Public Health at the University of Texas in 1992. He has published more than 40 articles and books on public health topics. He has served on the Nigeria Centers for Disease Control International Advisory Panel and is on the board of directors for the Association of Schools and Programs of Public Health. LexingTon According to Dr. David Mannino, at least a third of Americans living with COPD discover their diagnosis after experiencing late-stage disease exacerbations. At this point, lung deterioration eliminates the possibility of intervention. Mannino collaborated with a national team of public health experts to develop a novel tool intended to hasten the process of detecting and diagnosing cases of COPD in moderate to severely impaired patients. 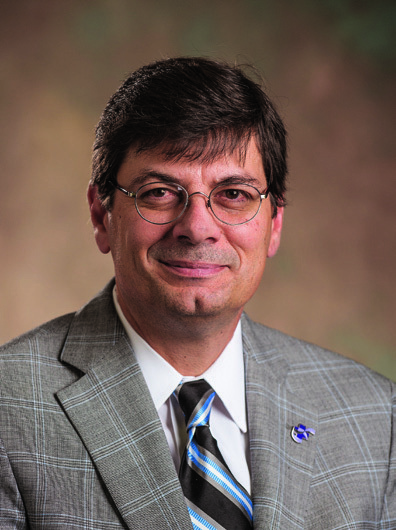 Maninno, professor and chair of the Department of Preventive Medicine and Environmental Health in the UK College of Public Health, led a team of researchers charged by the National Institutes of Health (NIH) Heart, Lung and Blood Institute with designing a direct and timely process for identifying cases of COPD in the primary care setting. As the presenting author on the project and principal investigator on the grant awarded by the NIH, Maninno reported on the findings from a study examining the effectiveness a five-step diagnostic tool during a meeting of the European Respiratory Society in Amsterdam on Sept. 29. The three-year trial tested the diagnostic effectiveness of a simple patient questionnaire, as well as two common methods for diagnosing COPD: a peak flow examination and spirometry. Study results supported the five-series questionnaire paired with the peak flow condition as the most effective of the three diagnostic approaches. DANVILLE Burt Piper, PharmD, FACHE, of Hammond, Ind., has been appointed to the position of executive vice president/chief operating officer of Ephraim McDowell Health. Piper assumed his duties on September 28, 2015. Piper brings to Ephraim McDowell Health more than 20 years of successful leadership experience in health care. Prior to joining Ephraim McDowell Health, Piper held progressive leadership roles at Franciscan Saint Margaret Health in Hammond, Ind. Piper earned his Doctorate of Pharmacy from Mercer University School of Pharmacy in Atlanta, Ga. He holds a Master of Business Administration from Ball State University in Muncie, Ind. He is a fellow in the American College of Healthcare Executives (ACHE), and is also a member of the American Society of Health-System Pharmacists (ASHP). LEXINGTON KentuckyOne Health is pleased to welcome Bruce Tassin as the new president of Saint Joseph Hospital and the new Lexington market leader for KentuckyOne Health. With 25 years’ experience in hospital and health system administration, Tassin joins KentuckyOne Health from Christus Health Systems, a multi-state faith-based health system where he served a variety of roles throughout his career. Tassin will be responsible for the implementation and engagement of the ongoing strategic plan for the facility, leading clinical and administrative teams to deliver safe, high quality care with compassion and respect. He will also handle implementation of the broader Lexington Market Strategy, impacting a range of KentuckyOne Health facilities across Eastern Kentucky. A Louisiana native, Bruce earned both a BS and MBA from Northwestern State University in Natchitoches, La. Tassin is relocating to Lexington from New Mexico with his family and will begin his role on November 9, 2015.